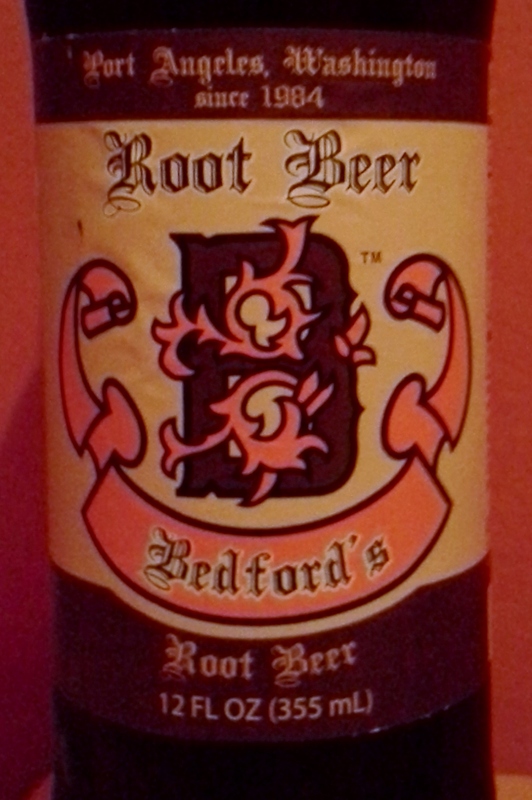 Bedford’s Root Beer is yet another offering from Orca Beverages. It represents the Pacific Northwest and is a “fine example of a regional soda”. I was a little sleep deprived from Sunday’s wedding and the first sip was a big punch in the mouth of natural and artificial flavors. Logan thought she tasted some fake sugar aftertaste, but the label said ’twas not there. But, this root beer has the quillaia, which may be the aftertaste Logan has an aversion to. When we make our root beer, I won’t be adding any quillaia – it seems hit or miss, and I’m not sure about the secret taste it adds. I kept sipping this root beer and tasting bright flavors. It was very sugary tasting, and the closest resemblance I can muster is a pink bubblegum flavor. It’s that spritely large lollipop / hubba bubba type of sugary flavor. It’s definitely a one root beer per night type of flavor.